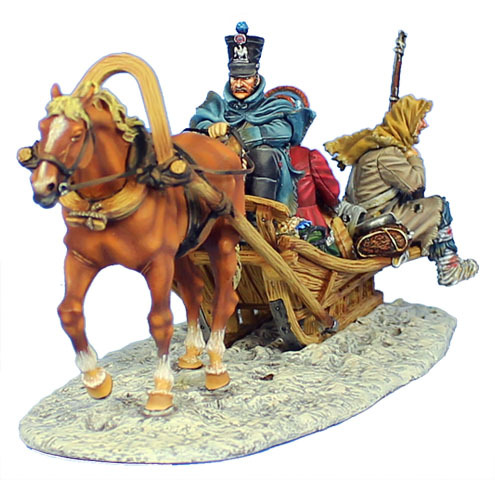 This is an incredibly atmospheric piece perfectly capturing the "feel" of Napoleon's Retreat from Russia. 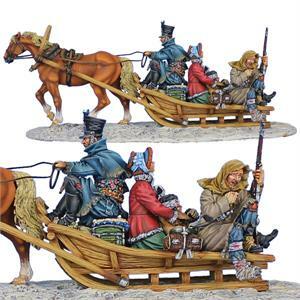 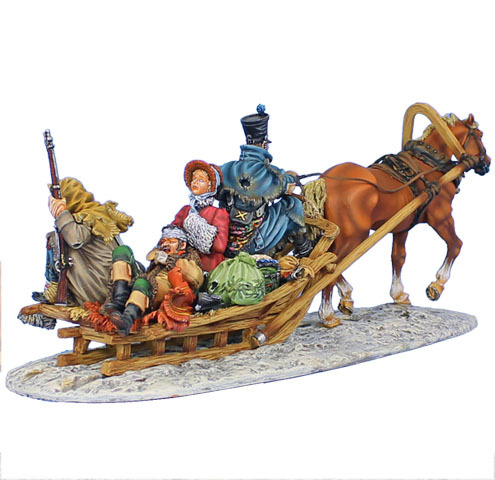 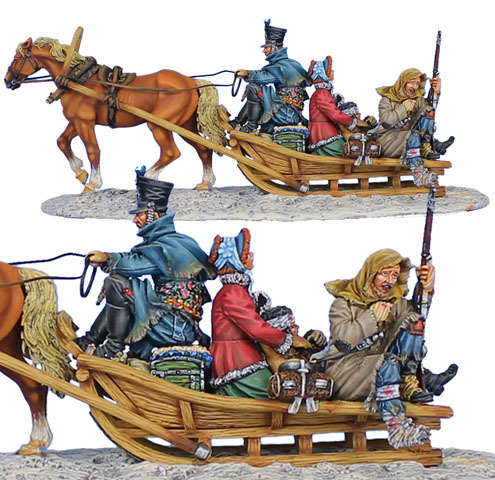 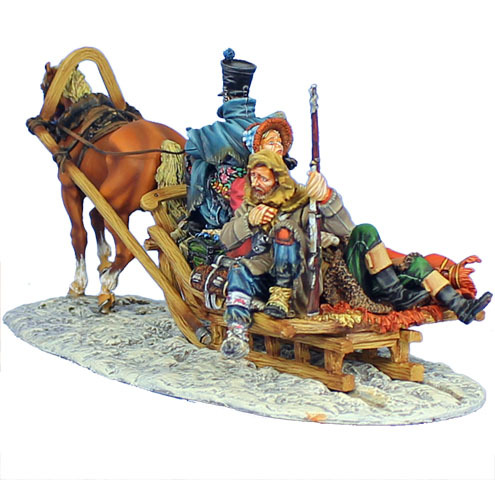 This peasant's sledge is being driven by an Artillery Train driver and the passengers consist of a wounded Italian infantry officer being held by a Cantiniere while a wounded French soldier sits on the rear conveying the misery he is enduring in the sub-zero temperatures. A truly stunning set that will make a perfect center piece for any "Retreat from Russia" display!